Here’s a round-up of Shakespeare-related books, fiction and nonfiction, that are on our must-read list. 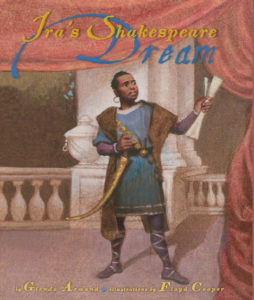 This story of famed African-American actor Ira Aldridge, who believed he could be a great Shakespearean if only he were given the chance, is an inspirational tale for children ages 7 to 12. Aldridge traveled to England to become one of the most celebrated Shakespearean actors in Europe in the nineteenth century. 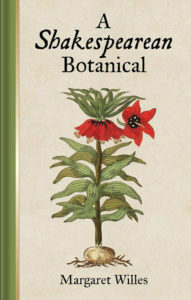 In the manner of a Renaissance herbal, this illustrated compendium relates the fruits, vegetables, herbs, and flowers of Tudor and Jacobean England—from aconite to wormwood—to quotations from Shakespeare’s plays, including Falstaff’s exhortation to “Let the sky rain potatoes” (which were believed at the time to have aphrodisiac properties). Why do we know so little about the appearance of the world’s most famous author? 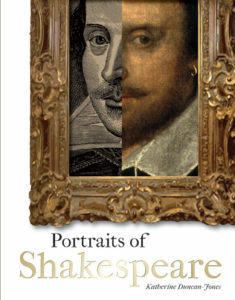 A noted Shakespeare scholar analyzes the three most widely accepted portraits of Shakespeare—the First Folio title page, the funerary bust at Stratford, and the “Chandos portrait”—and sheds some new light on the provenance of the latter. 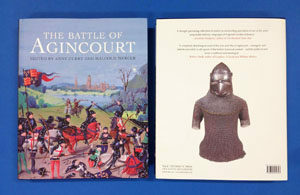 This lavishly illustrated volume commemorates the 600th anniversary of the iconic battle dramatized by Shakespeare in Henry V, analyzing its political, cultural, and geographic context, examining its armor and artifacts, and looking at aspects of medicine and hygiene, roles of faith and chivalry, the music of the times, and the experiences of women. 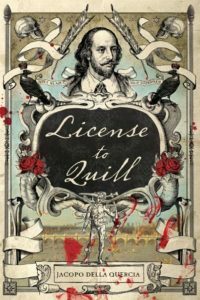 William Shakespeare and Christopher Marlowe take on an army of witches and more in this James Bond-style thriller set in post-Reformation Europe, when cloaks and daggers were not merely a figure of speech, spies lurked behind every pillar and post—and a fellow named Guy Fawkes was hatching a plot to blow up Parliament. 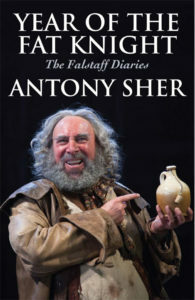 Following up on his Year of the King, one of Britain’s leading Shakespearean actors gives a behind-the-scenes look at his performance in a 2014 Royal Shakespeare production—accompanied by his own paintings and sketches—in which he wrestles with Falstaff’s obesity, drunkenness, and cowardice, as well as with a fat suit. This article was first published in the Summer/Fall 2016 issue of Folger Magazine. The magazine is complimentary for members of the Folger. Become a member today.